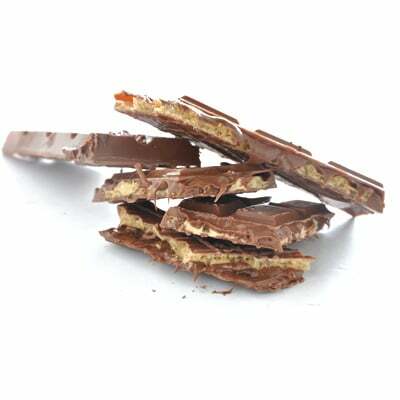 This bar is a delicious sensory experience of Chocolate filled with Nutella and wafer crunch. 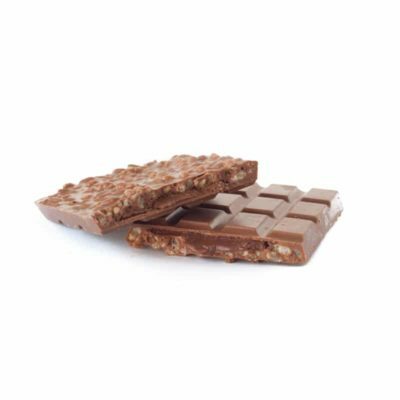 The Chocotella Bar is handcrafted by Chocolab’s Chocolatiers with our smooth premium Belgian Milk Chocolate and Nutella wafer centre to create the most delectable and delightful flavour infusion. You can’t go past trying this bar, it is every Chocoholic’s and Nutella lover’s dream! YUM! My first thought was a Kit Kat because of the texture with the wafer but the amazing creaminess of the milk chocolate and that beautiful Nutella filling makes this its own magic thing. If you love Nutella you will love this. When I first saw this I knew I just had to try it. I was abit cautious it might be too sickly sweet – although it’s chocolate so who cares?! But this chocolate wasn’t too sweet and sure was delicious! 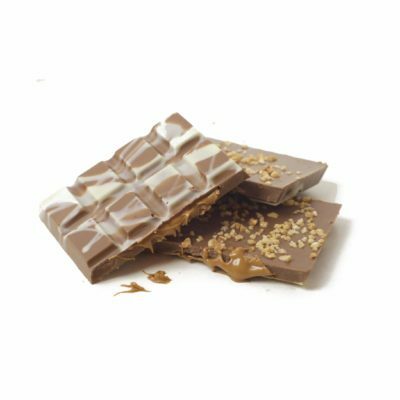 I ordered other chocolate too and was really happy with the quality – it’s definitely not the “cheap” tasting chocolate and is so creamy and delicious! Only problem with the Nutella bar is you probably should order more the one because NOONE will want to share!! Better than I ever expected! Purely made for the Nutella addict! This is the real thing! No fake flavouring to taste like Nutella it’s 100% Nutella Chocolate heaven!!! Soooo good! Tastes a bit like the Guylian Sea Shells mixed with a Kit Kat. 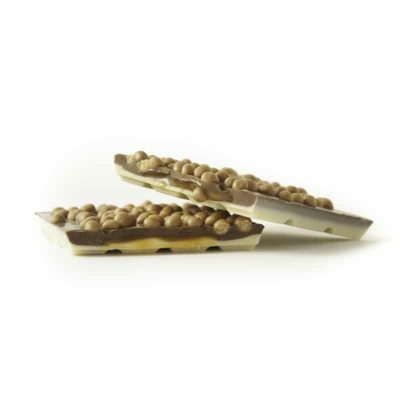 I ate 3 bars in 2 days, so yummy!!!! Such a tasty treat. The balance between Nutella and wafer was a good one. When the block warmed up a bit, the Nutella would just flow out when you took a bite.Would definitely recommend for any chocolate or Nutella lover!!!! Absolutely amazing ! It’s like a ferro rocher bar without the nuts 🙂 highly recommend to all Chocolate lovers to give this one a go . Oh my gosh delish !!!! So delicious. Possibly the best chocolate ever. 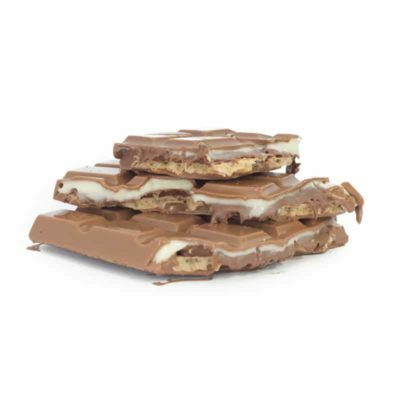 Has a mixture of a kit kat, kinder bueno and Nutella. So good, only problem…. I want more!! If you’re a Nutella lover you won’t be disappointed. Loved loved loved! Was like eating a big block of Ferrero Rocher chocolates with Nutella filling! Amazing! This is so delicious! Pleasantly surprised! So delicious. I need 10 of these in my cupboard at all times. Yum! I could’ve eaten the whole block in 5 minutes! This is just the best combo ever. Just make sure you order at least 2 blocks otherwise you will be waiting with baited breath for your next order to arrive!!!! !